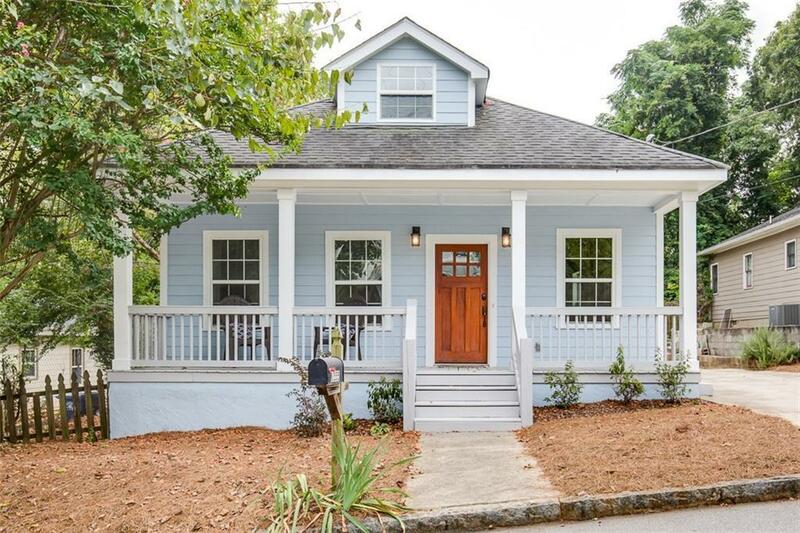 This 1910 bungalow on a quiet dead-end street maximizes its square footage w/desirable master on main w/en suite bathroom, 3 additional bedrooms, 2 additional full baths, PLUS a bonus room and actual laundry room. Renovated in 2014, you will love the granite, tile, bamboo flooring & modern light fixtures. Fenced yard, rocking chair front porch and new shed/workshop. The 27-acre Pullman Yard mixed-use hot spot redevelopment is underway & 1 mile from your front door. Close to everything: L5P, Kirkwood Village, Edgewood retail & restaurants, Edgewood Marta. Easy Living!